Computer enthusiast insiders know that the choice of your power supply is paramount in system design but POS (Point of Sale) computer buyers usually just take the included PSU without thinking about upgrading later on. Off the shelf computers often use under powered power supply and chances are you got a 430W power supply that weighs about 1.5 pounds and the heat sinks are the size of “Overheat and die quickly after the warranty is up”. We’ve been working on desktops since the Tandy build your own computer days when you got a PCB components and a soldering iron and power supplies have made leaps and bounds and should be one of the most carefully chosen components. If you are planning on a non-disposable computer and one that you can enjoy for years then upgrade a piece at a time it’s essential you pick a good quality power supply that will meet your voltage needs today and in future upgrades. 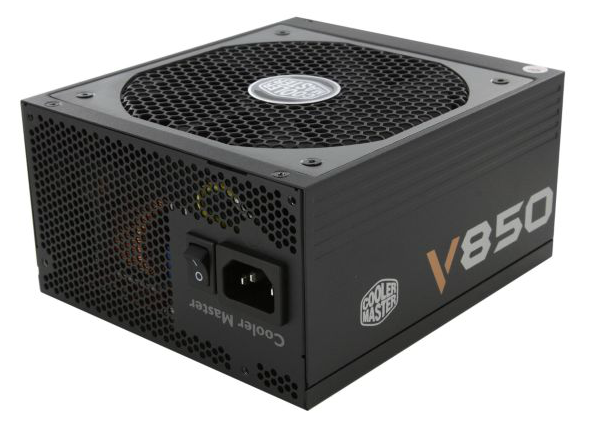 CoolerMaster offers a good solid line of power supplies and has partnered with Seasonic to produce and bring to market the excellent “V” series of power supplies. The truly amazing part of the Coolermaster V line of power supplies is the value at which they were released. When released originally CoolerMaster made the decision to release them at or near production costs to shake the power supply market and send a wake up call that CoolerMaster was in the market and playing hardball with top end equipment. At the beginning CoolerMaster only had 3 power supplies in the V series, a 1000W, 850W and a 750W but has expanded the line to include PSU from 550W to 1200W all built with the highest quality components and Japanese capacitors. All of the “V” series feature use Japanese capacitors for greater efficiency and hold up times as well as Voltage stability and Ripple Suppression. The 850W not only offers Gold compliance.but also offers near silent operation and stealthy flat black cables. You will be hard pressed to find a better quality power supply and seriously challenged to find one at the $174.99 price point that offers this much quality hardware inside. 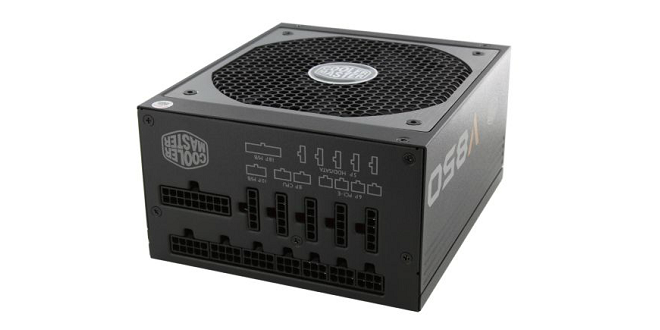 The CoolerMaster V850 has excellent voltage regulation in the 1% variance range and an efficiency of above 90%. This Power supply truly deserves a Gold Rating.